The energy efficiency of LED lights sources and design flexibility has won over the hearts of automotive manufacturers who have been increasingly introducing LEDs into automotive lights over the past few years. Automotive LED lights penetration rate has also continued to rise. 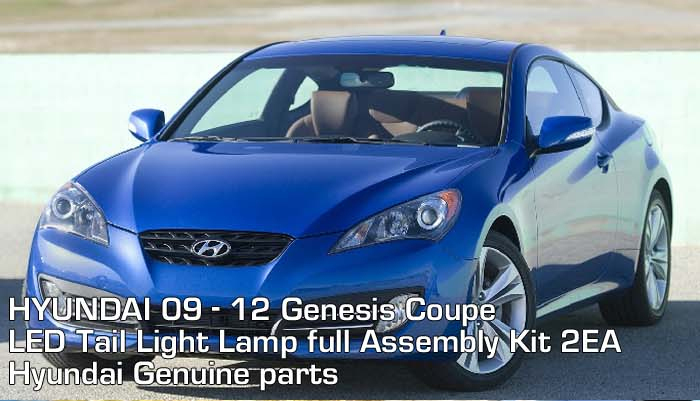 Korean automotive manufacturer Hyundai analyzed the cost structure of automotive LED lights during an automotive lights conference at Lighting Japan 2014. The company is optimistic about the potential of LEDs in automotive lighting, but also believes that the supply chain still needs to overcome problems of high cost. Compared with halogen and HID light sources, LEDs have the advantage of high performance, long life span, much reliability, and design flexibility for use in automotive lighting, said Hyundai. However, LED lights products still present a problem for automotive manufacturers due to high costs. The cost structure for automotive LED lights is as follows: LED components make up 11 percent, heat dissipation 17.1 percent, driver modules 10.7 percent, actuator 8.7 percent, controller 11.4 percent, and the remainder make up 41.1 percent. Aside from LED components, there is still room to lower cost for heat dissipation and controllers. Hyundai has classified LED power components into three sectors by application fields. The first is high powered 5-10W LED package components which are mainly made up of white lights and are for use in LED headlights. Second are mid-powered 1-3W LED components for use in DRL, LED fog lights, and strobe lights. They are mostly white and amber lights. Lastly are low-powered 0.1-0.5W LED components for use in tail lights, brake lights, small lights, and atmosphere lights. They mostly use white and red lights.